Show your love for the Star Wars universe! Wear these beautiful sterling silver cufflinks! Featuring the rolling BB-8 droid from Star Wars: The Force Awakens. 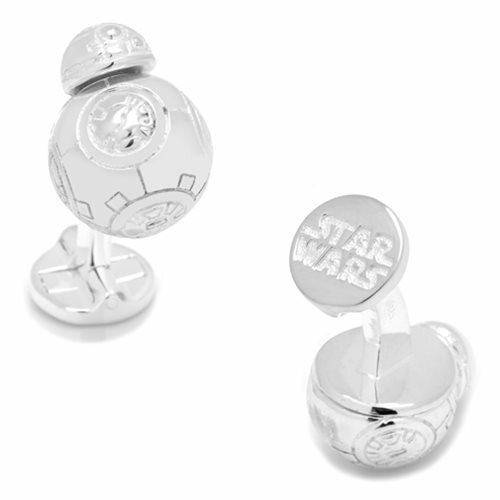 Show your love for the Star Wars universe with these beautiful Star Wars BB-8 3D Sterling Silver Cufflinks! Your friends will certainly be envious when you wear the 3/4-inch x 5/8-inch sterling silver cufflinks featuring the adorable rolling droid from Star Wars: The Force Awakens. But that's OK.